Professor Krishna Kumar is the first name that comes to our mind when we think about books on education. His use of language is so creative that it can be read for the experience of literature. His choice of vocabulary and formation of sentences is remarkable. Often, he transforms an average sentence into an unforgettable one. He gets hold of the root of the issues. This books discusses issues concerning reading. This book consists of seven chapters concerning topics such as reading, comprehension and defining a good children’s literature. The preface of the book is in itself an article. It’s very first sentence stops you to think- bina padhe-likhe logon ko anpadh kahkar hum padhe likhe un logon ke liye koi shabd nahi chhodte jo padhte nahi hain’. 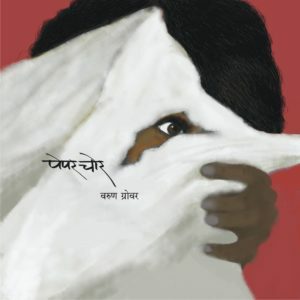 Like Raj, Samaj aur Shiksha and Chudi Bazaar Mein Ladki, this is a thought-provoking book. 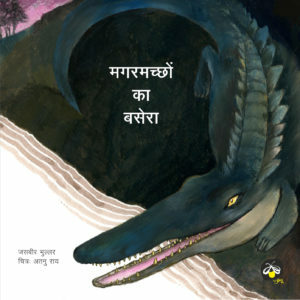 Artist Chandramohan Kulkarni created clay sculptures to illustrate this book. 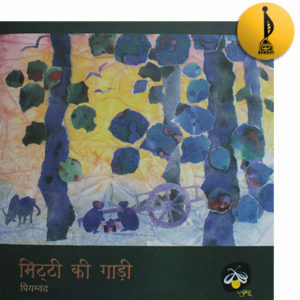 These sculptures would have a calming effect on the readers.